Author, Katherine Agranovich is pleased to announce the release of her new book, Tales of My Large, Loud, Spiritual Family. When Katherine Agranovich hypnotizes her daughter Jessica to pass a math quiz, the teenager reports seeing two angels who give her sage advice. With that, the gates of consciousness fly open and the realm of spirit bursts through, propelling the Agranovich clan on a rollercoaster ride full of mystical visions, spiritual insights and shocking premonitions. Tales of My Large, Loud, Spiritual Family takes readers inside the large, loud Agranovich household, where otherworldly encounters are accepted like grades and shoe sizes, and homework is often a cosmic lesson. Each day takes the family on a quirky spiritual adventure where “weird, crazy and abnormal” become the norm. Their young son is startled awake by a headless man, their daughter banishes obnoxious ghosts from her grandparents’ home and is whisked into the future to her wedding day. But in order to embrace their children’s spirituality, Katherine and her husband Felix, atheist Jewish refugees from Soviet Russia, have to undergo profound spiritual transformation themselves. Tales of My Large, Loud, Spiritual Family offers hope, courage and inspiration to parents committed to raising their children as spiritual beings. 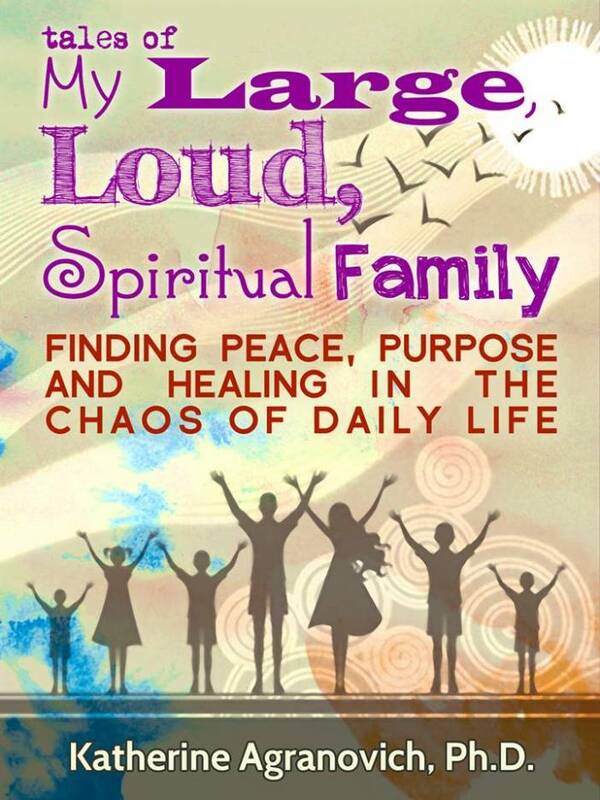 Tales of My Large, Loud, Spiritual Family is available in both print and ebook formats.